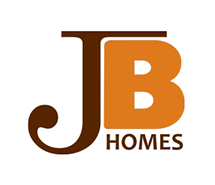 JB Homes builds affordable new homes with the grace and feel of a custom home builder in Vancouver WA & Ridgefield WA. Company founder Pat Jeffries first started crafting quality new homes back in 1975, and over time has developed a unique, proven approach to the home builders process. We provide our customers with a personalized home building experience while still offering the convenience and affordability of production building. Our basic new home packages include many commonly requested items, eliminating the need for excessive upgrade costs. Our objective is to provide you with a superior new home at an affordable price. In the process, we create livable neighborhoods, where landscaping, fencing and irrigation are included. It’s just one more step JB Homes takes to make the process of building a home a pleasurable one.